The hustle and bustle of the holidays are here! This season, eat, drink and be merry without having the holidays end up a nutrition disaster. Here are 12 tips to help you stay on track with your health and wellness goals. Stick to a regular meal schedule. Sticking to your regular schedule will set you up to make better choices, minimize cravings that lead to overeating, and keep your metabolism working throughout the day. Be sure to start your day with a healthy breakfast. Lose liquid calories. Holiday beverages like hot chocolate, eggnog, punch and alcoholic drinks are high in calories and do little to fill you up. Choose lower calorie alternatives and drink plenty of no calorie water. Instead of loading up your hot chocolate with whipped cream and drizzling it with caramel and hot fudge, go for the plain version made with low fat milk. Cut fat and calories with delicious reduced fat and fat free versions of eggnog. For an easy holiday punch that is lower in calories, mix 32 ounces of orange juice, 32 ounces of cranberry juice and 1-2 bottles of lemon lime flavored seltzer water. Serve over ice and garnish with lime wedges. If you consume alcohol, be safe and remember to do so in moderation. On the days you drink, limit your intake to two drinks per day for men and one drink per day for women. Don’t forget about fruits and veggies. Fruits and vegetables, in their natural form, are low in calories, which means you can eat a lot of them without gaining weight. Mimic the Healthy Plate Model and fill half your plate with them. Shrink your portion sizes. Start with a small plate and small portions. You may discover you don’t need to eat as much as you think you do to feel satisfied. Remember that you can go back for more if you are still hungry. And, if a food doesn’t taste fabulous, don’t waste calories on it. Give yourself permission to decline invitations that add stress to your life. Choose a few celebrations that are most important to you to avoid making the holidays more stressful than they already are. Have a healthy snack before a party to curb your appetite. Choose a snack that contains some fiber and some protein. 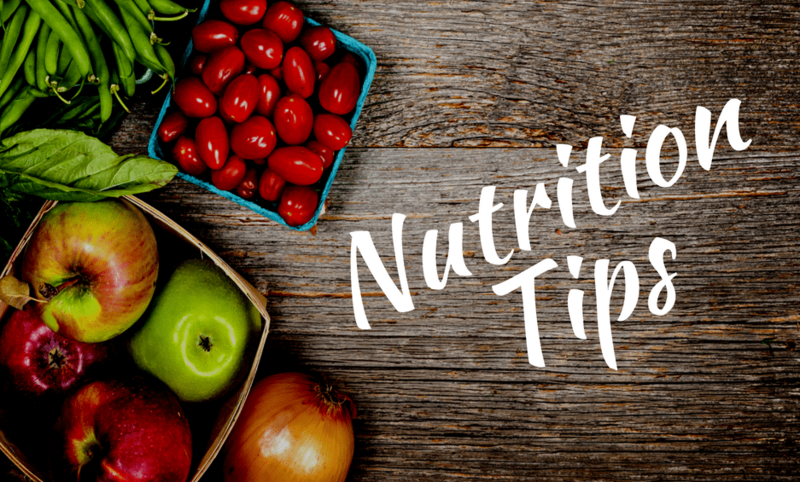 Having these two nutrients will help you feel satisfied for longer and keep you in control of your hunger. Try apple slices with a tablespoon of peanut butter, raw carrots with hummus, some whole grain crackers like Triscuits with a glass of low-fat milk, or a small container of non-fat Greek yogurt with some berries. Bring a healthy dish to the party. And then load your plate with it! Veggie kabobs in holiday colors with grape tomatoes, green peppers, broccoli and cauliflower on skewers with light ranch dressing are festive, fun and good for you! For an effortless, elegant appetizer, a platter of cooked, peeled shrimp with cocktail sauce is low in calories and is a great source of lean protein. Bring hummus instead of traditional dips. It’s a wholesome spread made from garbanzo beans available in several delicious flavors. Scan the food spread and choose only your favorites at holiday celebrations. Plan what you will take ahead of time, and avoid loading up your plate with food you really may not even want. In return, you will likely eat less! Take smaller bites, slow down your eating pace and listen to your body. Enjoy the time spent in conversations and take sips of water between bites. This provides your body with enough time to recognize it is full and helps prevent overeating. Be active. Take a walk with your family to see the holiday lights. Grab a group of friends and go caroling. Plan a day to go ice skating or skiing. Spending time with loved ones in active outings not only gets you off the couch but it is fun and helps you connect. Relax- Don’t sweat the small stuff. While holiday seasons are about spending time with loved ones, don’t forget to schedule some “me” time as well. Whether this time is spent at the gym, reading a book, or finding a new recipe, it is important to recharge regularly. Eat, drink, and be merry. And remember, most holidays are just one day. Celebrate the holiday, then hit the reset button and get back on track the next day!